Former Prime Minister Chung Un-chan was named the new head of South Korean professional baseball Monday. Chung will serve as the commissioner of the Korea Baseball Organization for three years starting in early 2018, after earning more than 75 percent of support from the owners of 10 clubs. Chung, 70, was nominated by the KBO's board of directors -- made up of 10 club presidents, current KBO Commissioner Koo Bon-neung and its Secretary-General Yang Hae-young -- on Nov. 29. The board unanimously advanced Chung's nomination to the general assembly, made up of the club owners. 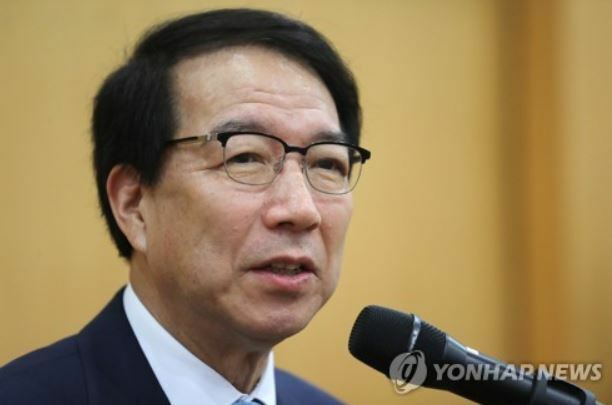 Koo, who has been the commissioner since August 2011, will wrap up his tenure at the end of this year. The KBO said it will formally report Chung's election to the Ministry of Culture, Sports and Tourism, and schedule Chung's inauguration ceremony after further discussions. Chung served as prime minister from 2009 to 2010. An economics scholar and professor emeritus of Seoul National University, Chung is also a well-known fan of baseball. Chung has previously said he'd one day like to become the KBO commissioner. Chung's love for baseball has been well known. He has been frequently spotted at Jamsil Stadium in Seoul attending homes games of his favorite club, the Doosan Bears, and he also threw out the ceremonial first pitch at Rogers Centre, home of the Toronto Blue Jays, in 2012.